This process is highly important and should come before any design/aesthetic considerations, before you choose a WordPress theme, before SEO. Don’t let your site theme/template dictate how you structure your website. You need to decide that first, and then customize the site to meet your needs. And most importantly, IA comes before building your site’s navigation. The navigation menu is just an interface element that allows users to reach specific places on your site. 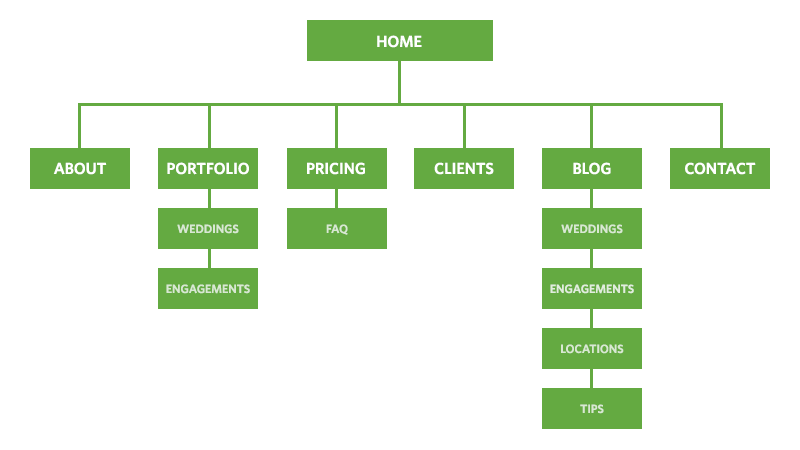 Thinking about your site’s structure isn’t easy though, especially if you’re just starting out. But I’ll try to give you a few guidelines for how to think about structuring your photography site. 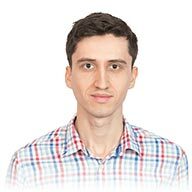 Information Architecture (IA) helps give users what they’re looking for, and that requires a good understanding of your users and their needs. I can’t stress this enough. 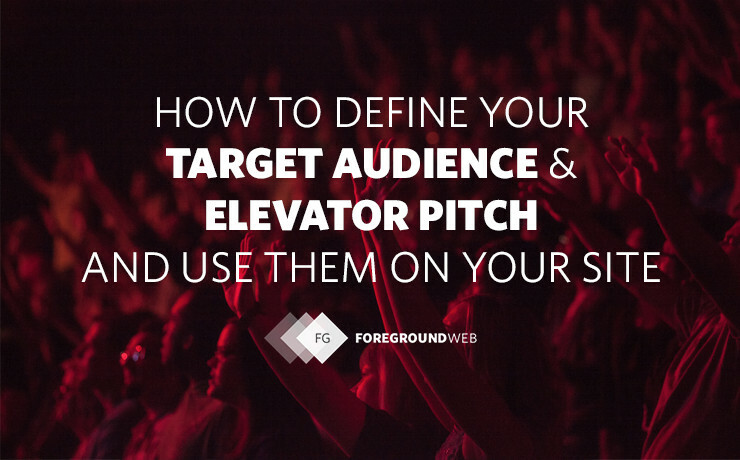 Especially if you’re just starting out, you need to do a little homework first: define your target audience and elevator pitch. Take a piece of paper and do a content inventory, write down everything you feel should go into your site. Now it’s time to decide which of them are more important, and to try to create a sitemap. If you have multiple specialties, this is also the time to decide where you keep everything on a single site, or you break things down into separate sites. I wrote this short article a while ago to help you take this decision: To merge or not to merge separate photography websites? The sitemap will obviously be useful when later building the navigation menu for your new site. Once you reach that point, be sure to check out my in-depth guide on building a great navigation menu. After you’ve decided on a site map, it’s also useful to think about how first-time visitors will “flow” through the site. You’ll notice that users are taken on a “tour” right from the homepage. This sequence of pages (which also follows the order of items in the “Tour” navigation dropdown) takes people through an exploration of the photographers behind the site and their services. 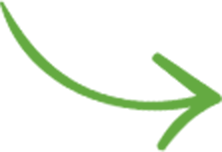 At the end of each tour page, visitors have one single call-to-action: to continue the tour. Once they reach the end of the tour, visitors are appropriately taken to the Contact page to leave a message. Notice that there are many other pages in the site (wedding and engagement portfolios, guides and blog posts), but they weren’t included in that initial “tour”, that would have been too much. When guiding people through your site (with the help of call-to-action buttons at the end of pages), it’s fine to not include every single page in your site. Just try to guide people through your site’s “pillars”, all leading up to the end goal (asking people to contact you, to subscribe to your mailing list, or to purchase something). Sometimes you won’t be able to create such a clearly-defined tour for first-time visitors, because you might have more things to promote on your homepage. That’s fine. Show them more than one option (though not too many), and let them choose their own “adventure” through your site. But once they chose a path, guide them forward. You don’t have to make this process more complicated then it needs to be. After shooting weddings for a few years, he now knows that his target audience is: English-speaking young couples, ages 22-35, medium to high income levels, down to earth, well organized. He already has an old website, but thinking about rebuilding his online presence and starting fresh. So he starts making a list of every piece of content he’d like to include on the new site, and comes up with this list: A “best-of” portfolio, a short bio, booking form, wedding and engagement galleries, details about pricing, a big FAQ section, private area where past clients can access their photos, a blog area with several categories. Which services/products to you want to focus on in the future? “About 80% of my engagement shoot clients have also hired me for their wedding, so I could do a better job of promoting engagements on my site”. As you can see, building your website is a long process of discovering the “why” behind everything, of understand your audience and giving them the content in a clear and coherent way. 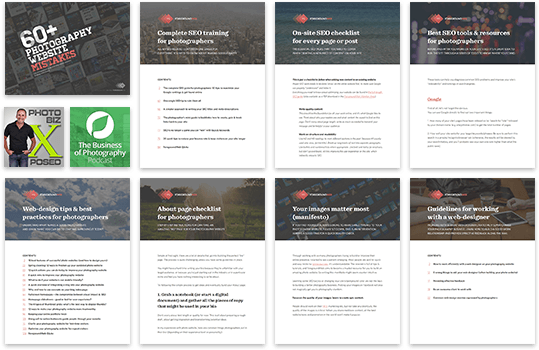 If you have a ton of content or are considering merging multiple websites into one, then you’d need to invest more time into this and do it as seriously as possible. OK, so now that you’re armed with a sitemap and ideas on how you want people to flow through your site, how do you use that info? Hope you now have more clarity about this whole topic. So for now, don’t worry about design or SEO. Just try to use the guidelines in this article to help structure your photography website (especially if you’re just starting to set it up, or rebuilding an outdated one). 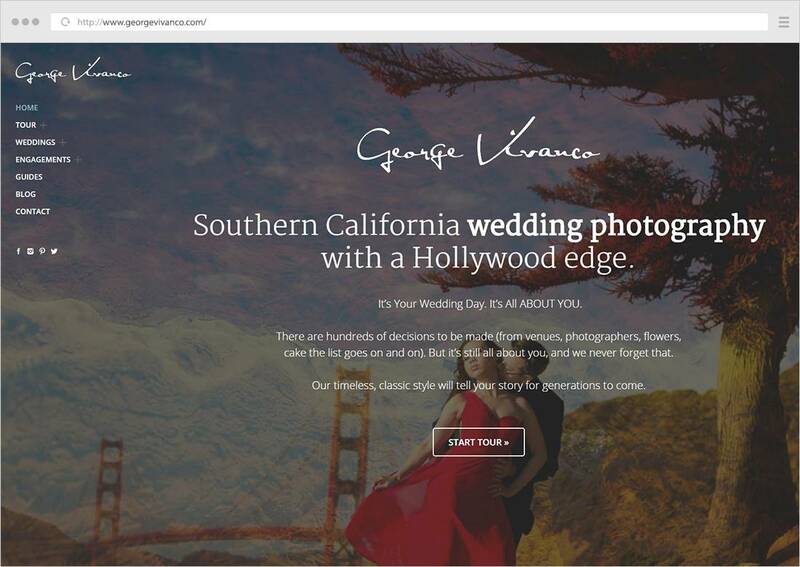 Previous article:Having separate photography websites or merging them?